Stamp · Pray · Love: Bonus Days Are Back! If you add enough to your order to reach $50 USD, Stampin’ Up! 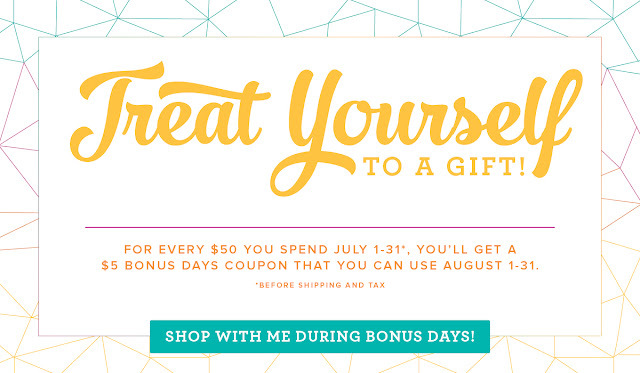 will email you a $5 USD/$6 CAD coupon to use in August! That means today would be a fantastic time to splurge on items from your wish list, because you will get a coupon for every $50 USD you spend! throughout the duration of the promotion. can only be delivered via email.